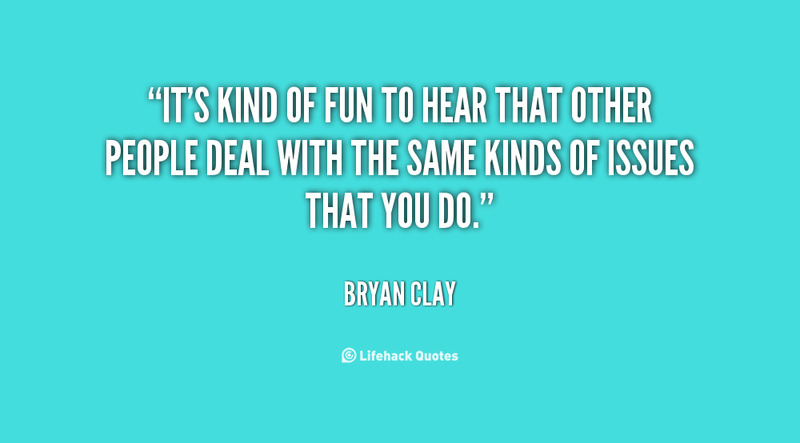 See the gallery for quotes by Bryan Clay. You can to use those 6 images of quotes as a desktop wallpapers. You take yourself to a place where you've got absolutely nothing left and then you find out you have to push yourself one more step. That's a tough place to be in. I was blessed with certain gifts and talents and God gave them to me to be the best person I can be and to have a positive impact on other people. It's not easy waking up every single morning knowing what you're going to put your body through and having to do it. We don't have days off. For so long I wanted to win the gold medal.Then I won. I had to figure out what was the new motivation to take myself to that place again. How many times do you take yourself to the brink of complete collapse? It's not a real fun place to go. I do catch myself driving around singing tunes, but I don't know if it's necessarily show tunes. I don't think anyone chooses the decathlon as much as it chooses you. I have a black lab named Luke. I love Broadway. And, I listen to country music, which I think a lot of people find surprising. I train six to seven hours every single day. I wake up six days a week and know that it's going to be the same thing. I'm competitive. 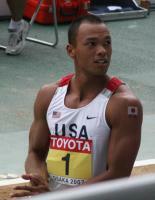 I like to compete, and that's basically what the decathlon lets me do. I've been telling people I'm in the best shape of my life, I've been training unbelievably hard. If I look what sport has done in my life, I don't think there's any doubt that sport can change lives. It's kind of fun to hear that other people deal with the same kinds of issues that you do. It's not necessarily size that matters, it's how fast you move that implement. My life was very Japanese. 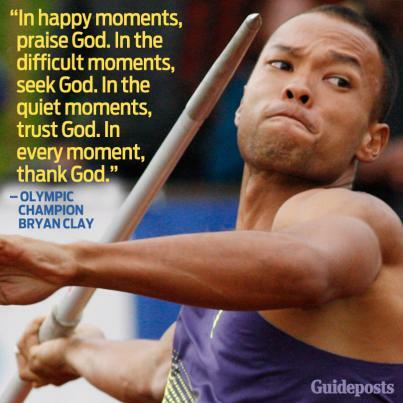 Much more quotes by Bryan Clay below the page. Repercussions are serious and they will take you places. We have to lie to ourselves as decathletes and say that we like all ten events. You don't have to sacrifice who you are to follow your beliefs. Before the decathlon I'm constantly trying to convince myself that I want to do this, that I want to take myself to that place where it's going to hurt and things are going to be tough. But that's like anything - you want to give your best. 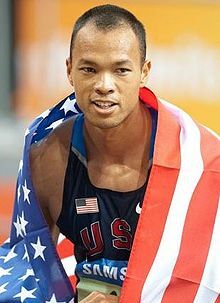 For decathletes, our event goes all throughout the day so you're trying to go up and down and up and down emotionally and physically and you know mentally you're just on a roller coaster. I think to actually be an Olympian to me means that you've trained most of your life, or you've dedicated most of your life or a big chunk of your life into doing something that you believe that you can accomplish.